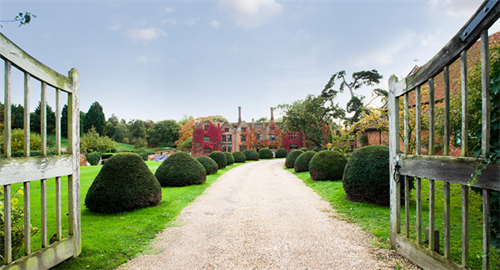 Constructed of old Suffolk red bricks and peg tiles, the Great Hall blends nicely with the original building in the style of a Tudor tithe barn. The mellow colour of the brick together with the strength of English oak blend to create an atmosphere seldom captured in a new building. Designed to be flexible in order to meet the varying demands of both business and pleasure, The Great Hall comprises a main hall, minstrels gallery, bar, and ladies and gents cloakrooms. Connecting the suite to the hotel is The Garden Room which is also available for private hire.